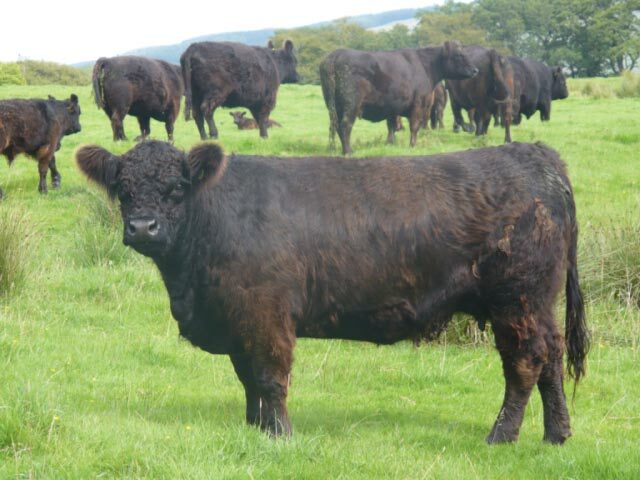 The Galloway cattle Society has announced the launch of their new, free cow classification scheme at the Royal Highland Show. Members are invited to take advantage of this the latest tool to help them select both new animals coming into their herd and promote animals being offered for sale. “The importance of good conformation has never been greater as breeders and producers are looking for cost efficient females,” explained Galloway Society Chairman Drew Brown. “In response the Society is providing this new service, which will enable members to classify breeding heifers and cows. The scheme, free to members in the first year, will help breeders promote the Galloway as a truly excellent hill suckler cow. The Galloway Cow Classification Scheme is based on individual type traits assessed by the classifier, Stuart Renton, with a score out of ten given for feet, mobility & correctness, udder and teats as well as general observation of temperament and skeletal size. One of the key benefits of superior graded animals is that they attract higher values than their counterparts. Just as important for progress in a herd and in the breed is that specific strengths and weaknesses are highlighted by classification thus allowing improved corrective breeding decisions to be made. Society chairman Drew Brown emphasising that, “Classification is the tool that allows breeding decisions to be made within herds by identifying the BEST of the next generation, but it depends totally on member participation to achieve these results. Any registered Galloway female belonging to a Society member can be classified for free in the first year and can be retested in future years. Application must be made to the Society office listing females to be classified and suitable times for a visit. Though free in the first year the Society reserves the right to eventually introduce a suitable charge to cover scheme costs. Females must be presented for inspection on hard standings in milk and natural condition. Animals must be identified using the official ear tag with the owner or their representative present at all times during the inspection. The Society office will then issue a computer print out summary of the assessment and breeders must adhere to the inspector’s final decision.